Articles relating to the home and business security sector. CCTV systems have now become really affordable for the home user. Once thought of as an expensive luxury, fully functional CCTV systems with say four indoor/outdoor day/night cameras are available for around £400. The added bonus is that they are viewable over the Internet, have hard drives as standard and are very user friendly. Sapphire CCTV have great range of DIY kits that are easy to fit and will give so much peace of mind whenever you leave your premises. Imagine being able to look outside and inside your property while you are on holiday or on a night out or anywhere you have a mobile phone or PC or iPad, or Blackberry. Fantastic. CCTV Systems are actually easier todesign and fit than Burglar Alarms. 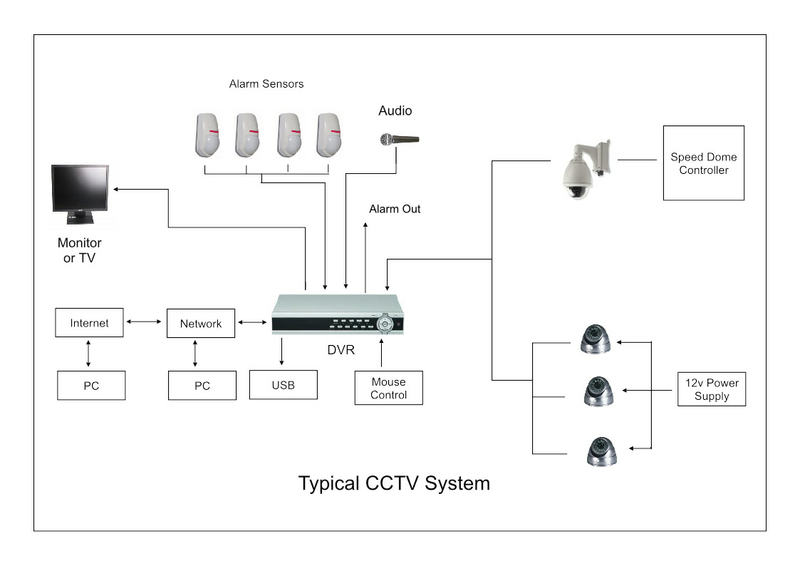 Systems comprise a DVR (digital Video Recorder), cameras (one per channel) and one or more monitors. The software in modern DVRs is very sophisticated and is capable of triggering recording on motion detection - including pre-event and post-event triggers. Fitting CCTV is the next logical extension to your property's security. I am the founder (2003) and owner of Sapphire Alarms (www.diy-alarms.co.uk). I have been involved in the Burglar Alarm industry on and off since 1982 when I successfully built an Alarm Installation Company which fitted many thousands of alarms systems. My original vocation was as a Research Chemist, but, for those that remember the recession in the early 80s, I was inevitably made redundant. I have a BSc in Chemistry I also forged a successful career as a Technical Author.